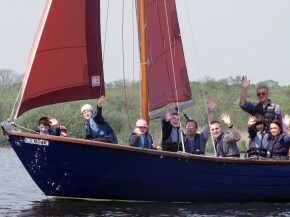 The Norfolk Schools Sailing Association (NSSA) provides young people in Norfolk with the opportunity to learn to sail. 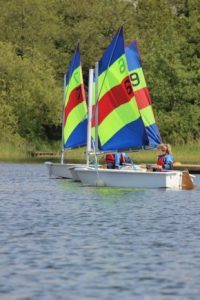 They provide an education-based programme that not only teaches and develops sailing skills and abilities but nurtures a love of nature through a greater knowledge and understanding of the Broads National Park. The grant will enable NSSA to purchase additional buoyancy aids which are essential to ensure the safety and wellbeing of young people. Small signs will be erected which are self-adhesive stickers placed on appropriate highway signs at junctions and turnings. It should also benefit tourism businesses and attractions located along the routes by ensuring visitors are more easily able to keep to the designated routes and to pass and stop at the various points of interest, attractions, and refreshment stops along the way. The grant will fund the design and printing of the signage which will be put in place by volunteers. 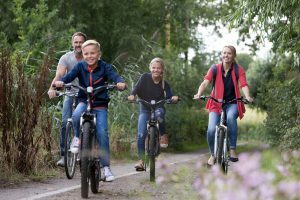 The project will enable visitors and local people to enjoy the fabulous wildlife of Suffolk Wildlife Trust’s Broadland Nature Reserve at Carlton & Oulton Marshes by updating an all-weather, accessible, circular footpath around the marshes. Maintaining a network of paths is fundamental to ensuring visitors’ enjoyment of the site for everyone. The work planned through this project will help to maintain and improve this fantastic resource for visitors and local people. The Love the Broads grant will pay for the materials to deliver this much needed project with volunteers undertaking the work. Once a familiar site in the Broads and surrounding villages, barn owls have become an increasingly uncommon sight. This project aims to increase the number of these wonderful birds in the Broads. Ten barn owl boxes were successfully installed in December 2013, with the remaining seven boxes fitted in February 2014, well in advance of the breeding season. Increasing the habitat for barn owls is particularly important in order to sustain breeding pairs. We are delighted that landowners at four of the sites have agreed to undertake further habitat improvements for barn owls including the creation of rough grassland margins. The Love the Broads grant was also used as “match funding” for a further £2,000 from the Norfolk Biodiversity Project for an education pack. The Hawk and Owl Trust will start work on the education materials in autumn 2014, with the pack ready for 2015. The image shows Erica Murray, Broads Authority, and Nigel Middleton, Hawk & Owl Trust, just about to erect one of the new barn owl boxes funded by Love the Broads. This project brings science, nature and technology to local communities in the Broads area. It is hoped to get as many people as possible thinking about the hours of darkness in a different way and bats are a really good group to inspire interest. Through this project anyone can have the chance to borrow recording equipment to find out what species of bats are around them. 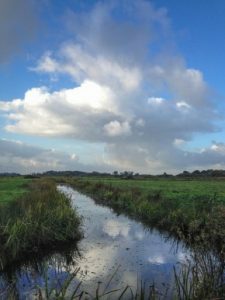 The aim of the project will be to identify the landscape use by bats and bat corridors to and from the Broads’ core wildlife area and the hinterland. The Love the Broads funding for a bat detector kit will help to achieve this. 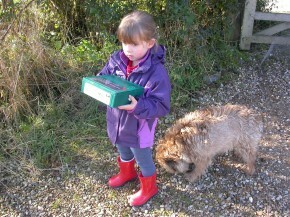 The photograph shows a young volunteer and helper about to set up a bat detector kit. New visitor moorings have been opened at a key location on the River Bure at Boundary Farm. Love the Broads, with the exclusive sponsorship of Herbert Woods, helped to fund this project together with the Broads Authority. 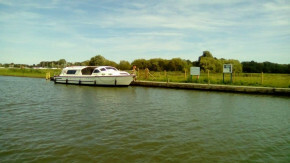 Shortage of 24 hour moorings has been identified on the Broads, and the construction of these new moorings will be welcomed by boating visitors. Thurne Windmill is situated at the end of the Staithe in the village of Thurne and is close to the Weaver’s Way. Thurne mill is one of the most iconic mills on the Norfolk Broads and it also pumps too. Built in 1820 by the millwrights England & Co of Ludham, Norfolk, it would have had common canvas sails and a scoopwheel but in 1885 the mill was hained to accommodate the new turbine pump and the patent sails. These allowed the Marshmen a little more free time. A programme of improvements has recently been undertaken including the painting of the exterior of the mill. Thurne Windmill, which is a not-for-profit social enterprise, is keen to enhance the visitor experience. The mill is now open twice a month from April to September and popular circular walks take place from Thurne Mill and the Wind Energy Museum at Repps along the riverbank and back through Dewbeck wood using the Weaver’s way. An annual fundraising abseil/leap of faith also takes place. Whilst there are interior interpretation panels there are no exterior signs providing visitors with information and a warm welcome. 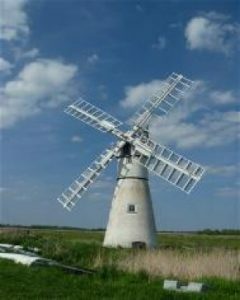 Love the Broads is funding an exterior interpretation board at Thurne Windmill which will have information about the windmill and the special environment in which it is located. The Nancy Oldfield Trust offers disabled and socially disadvantaged people excitement, freedom, adventure and provides wheelchair access to the Norfolk Broads. This project will enable children and young adults the opportunity to access dyke rivers and broads from the Trust’s various boats to collect, handle, identify and understand the aquatic life found in these thriving natural habitats. Love the Broads will fund the equipment required to do this including nets, trays, magnifiers and bug pots and a field microscope. The equipment will also be used in a new classroom facility at the Trust’s headquarters. Carlton & Oulton Marshes has the largest extent of wetland habitat in the Suffolk Broads. The dykes at Carlton Marshes have long been known to support large populations of rare species and a rich assemblage of plants. This project will install a second dyke-dipping platform for school groups to use. It will now be possible to maintain the quality of this experience whilst avoiding the risk of over-dipping causing damage to the dyke fauna. 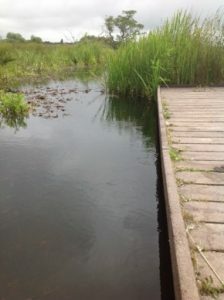 The platform will be constructed from recycled plastic ‘timber’ planks and will extend out over the dyke to enable children to dip into the deeper water safely, and ensuring every child in a larger group can participate during a day visit. As the platform is alongside the all-weather footpath (funded by Love the Broads in 2013) it also offers a window into the dyke for visitors. Fen harvesting was required to increase biodiversity at Carlton & Oulton Marshes. The site, which benefits from a four year rotation, is now in need of cutting to improve the vegetation structure and create more edges for wildlife. 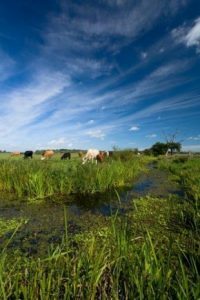 This project would allow the Suffolk Wildlife Trust to bring in a specialist fen harvester to create pioneer cuts and corridors into dense, inaccessible wet reed with circular pools at the end.